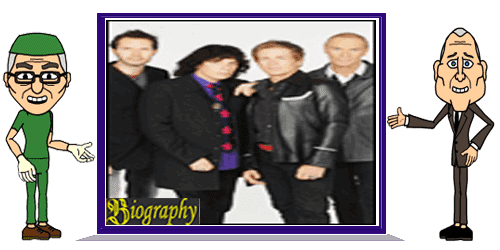 Mr. Big is a group of hard rock band formed in Los Angeles, USA in 1998. The presence of Mr. Big preceded by Billy Sheehan left David Lee Roth at 1988m years later he shared with Mike Varney formed a band under the auspices Sharpnel Records. He recruited Eric Martin and then afterwards they recruited Gilbert and Torpey. This newly formed band hired Herbie Herbert as their manager. Mr. Big releasing their third album in 1995 titled HEY MAN. One of the songs from the album was used as the soundtrack for a cartoon series, MEGA MAN. Although the band never repeat their previous success in the American market, but they are very popular in Japan and other Asian countries beberpa. They launched another live album LIVE AT Budokan is intended for the Japanese market. In 1997, the band temporarily split because its personnel were busy with their respective projects. Gilbert resigned from the band in 1997 and was replaced by Richie Kotzen existence. After that, the next two studio albums released sequentially ie OVET GET IT (2000) and ACTUAL SIZE (2001). Two of the album was well received, especially in Japan and Asia. However tensions appeared between Billy Sheehan with other members when Billy started the tour with Steve Vai. They are working on a song without including Billy and he was only given two songs. Eric, Ritchi and Pat finally agreed to continue the project by firing Billy. However, the tour manager disagreed and asked Billy joined the band for a farewell concert. Due to all these problems, Mr. Big split in 2002 after a farewell tour. On February 1, 2009, one of the radio reported that Mr. Big will be re-united with their original lineup to celebrate twenty years of their debut album. Their latest album was launched there January 21, 2011 titled WHAT IF .... The album will be their latest album after ten years, with the composition of new songs as well. 2011: WHAT IF ... ..